Silly Putty is a favorite of children, giving them hours of fun as they mold it into a variety of shapes. While they're playing with Silly Putty, you can give them a science lesson they will remember by teaching them how to make their own. A craft for after school or a rainy day, making imitation Silly Putty will expand their minds into the world of chemistry and how substances react together. The best part is that your homemade putty will last for a long time, so while they are learning and having fun, you will be saving money at the toy store. Put 3 tsp. of glue into a glass and add 5 tsp. of water. 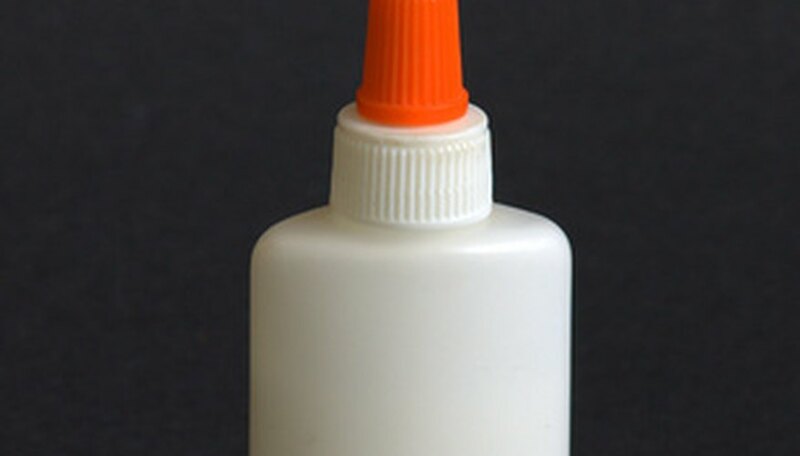 You can use any glue that is PVA-based, such as school glue. Add 1 tsp. of a talcum-based baby powder to the glue and water and stir well. The mixture will form a gray paste. If necessary, break up any clumps of powder. Add three to four drops of food coloring to the mix. Adding any more than that can change the consistency of the putty. Pour 1 cup of water and 1 heaping tsp. of borax in another glass and stir it well. Measure out 1 tsp. of the borax mixture and add it to the putty glass. Use a spoon to mix it in thoroughly. At this point the putty will be sticking to the spoon. Pull it out of the glass and remove it from the spoon. Knead the putty with your hands for about five minutes. This will help it go from slimy to dry. Put the putty in a sealed zipper-type plastic bag for storage and wipe your hands off with a paper towel. Once your hands are free of leftover putty, wash them with soap and water. The putty will keep for a very long time if it is kept sealed in plastic when not in use. If it dries out, add a few drops of water at a time until you reach the desired consistency. The putty can easily get stuck in fabric and carpets. To get it out, apply some white vinegar and rub with a rag. Do a final rinse with a little soapy water. What Are Some Practical & Impractical Uses for Silly Putty?